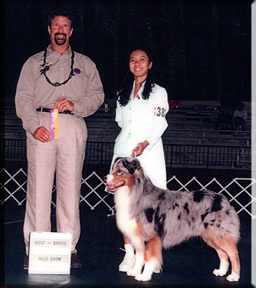 Willie adds AKC Championship to his list of accomplishments while visiting the Hawaiian Islands. He became the first Aussie that I finihed. 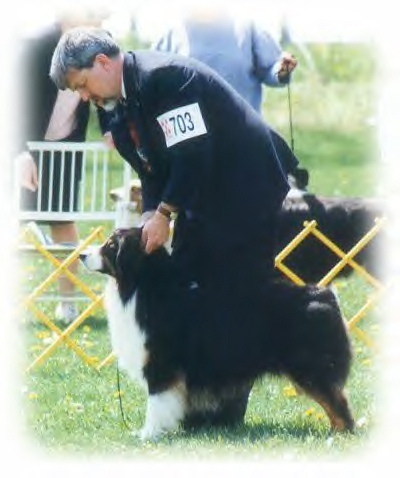 Through our teamwork we enjoyed multiple Best of Breeds and Group Placement Wins. My special thanks to Jill Rose of Painted Rose Kennels for giving us the opportunity to enjoy Willie.